Hayley’s Feng Shui Tip: FALL CLEANING TIPS! Fall is in the air! Prepare for the change of season (even if you are in California!) with a few deep-cleaning tips for your home. A clean home is a happy home! Clean from ceiling to floors, starting with the most used rooms. Tackle this list over a few weeks if you get overwhelmed. I won’t tell anybody! Dust fans, crown molding and air vents. Soak and wash glass light fixtures. Walls and corners collect lots of dust (and dog hair, in my case!) Wipe down latex or oil painted walls with an All-Purpose Cleanser** (read the label!) and water. We recommend testing on an inconspicuous area first. Don’t forget the baseboards! If you paid attention to the last Feng Shui Tip, you already cleaned your windows (:-) If you missed that one, there is still time! Wash the screens on a warmer day and allow to dry in the sun. Next are curtains and blinds. Vacuum furniture and upholstery. Make sure to clean underneath furniture as well. Lastly, clean the floors, carpets, and rugs. If they are heavily soiled, it may be time to call a professional** or rent a cleaning machine. Clean under and behind the refrigerator, vacuuming the condenser coils. Clean and organize kitchen cabinets. 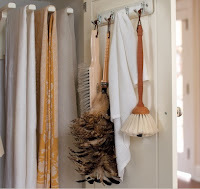 Plan on one cabinet a day to make the task less daunting. Take unwanted, unopened packaged foods to a local food shelter (or toss expired or questionable foods). Clear the kitchen counters of all appliances not used in the last week. Deep clean your oven with a mixture of 2:1 All Purpose** and Surface Scrub** and let sit for 15-20 minutes, then wipe down the insides and outsides of the oven and range. If you have drip pans under your burners, run them through the dishwasher, or consider replacing them. Empty each drawer and cabinet so you can wipe down the interior. Give your shower or tub a good scrub. My friend Becky discovered that it is much more fun using scrubbing bubbles if you are also drinking bubbly. Launder or clean the shower curtain and liner. Scrub down the toilet, both inside and out – don’t forget the handle, seat, or base of toilet. Dust the outsides of vents and fans. Launder all bedding, including bedskirts, mattress pads, sheets, pillows, blankets, duvets, and comforters. 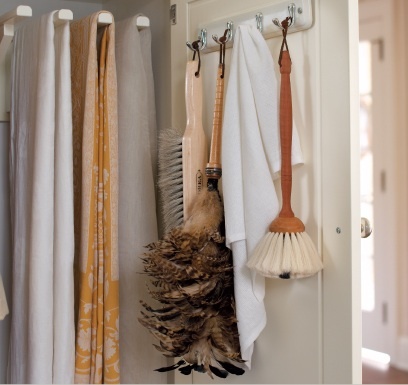 Clean and organize drawers, shelves or nightstands. Determine what your favorite clothes are, then donate the unwanted, clean, usable clothes to a charity thrift store (I personally like Mission Thrift on Broad Street). After the leaves have fallen, empty the gutters, then rinse clean gutters with a special hose attachment. Check the weather stripping and caulking around doors and windows to ensure your home is energy efficient. ** This list is brought to you from my favorite GREEN cleaning product line: CALDREA. Find your favorite Caldrea scent (mine is Basil Blue Sage), and your entire home will smell amazing when you clean (rather than caustic). 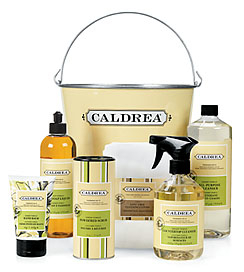 www.Caldrea.com, Fortini’s in SLO carries it, and every once in awhile, you can even find it at Ross or TJ Maxx (if I haven’t found and bought it first!) They have spectacular concentrated laundry detergent. Your sheets, towels, skin, nose, family and home will thank you! If you need to buy or sell a home, call or email Comet Realty: 805.546.9925, Info@CometRealty.com.